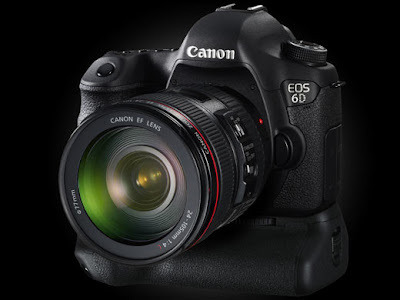 The Canon EOS-6D light weight, full frame camera was introduced a few weeks ago. It has a list price of $2,099 and should be available by the end of 2012. The folks at DPReview has obtained a pre-production model of the EOS-6D and gave it a 'test drive' and wrote a preliminary review of the camera. You can read the post here. I plan to get a hold of the camera and put it through some photo shoots once it is available through the Canon Professional Network. In the meantime, you can take a look at my previous post comparing the EOS-6D to the Nikon D600.